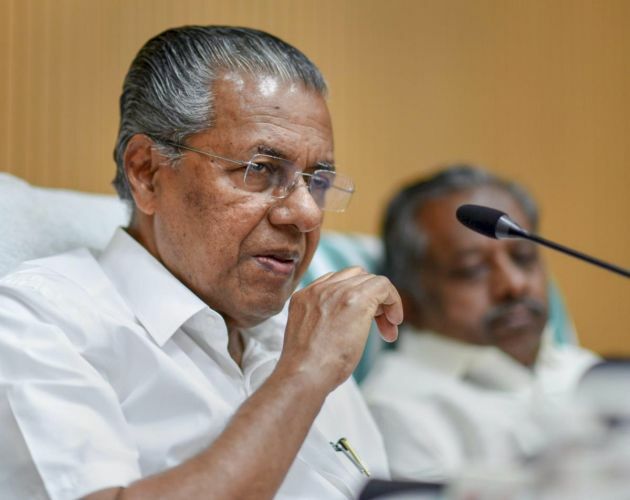 Kerala Chief Minister Pinarayi Vijayan will lead an all-party delegation that will meet Prime Minister Narendra Modi on Thursday and discuss various issues concerning the state. The issues likely to be raised include increasing the state’s ration share, besides the much-delayed projects like Palakkad Coach Factory, Sabari rail line and also the after-effects in the event of implementation of the Kasturirangan report, Vijayan’s office told the media on Wednesday. The delegation will include Leader of Opposition Ramesh Chennithala, state Congress chief M.M. Hassan, besides Kerala Ministers K. Ramachandran, G.Sudhakaran, and former state BJP chief P.K. Krishnadas, who will be joined by Lok Sabha MP E.T. Mohammed Basheer (IUML) and Rajya Sabha MP Jose K. Mani (Kerala Congress-Mani) from Delhi. In June, Vijayan had expressed his strong displeasure at the manner in which his earlier requests to meet Modi were turned down. The delegation will leave for Delhi later on Wednesday.